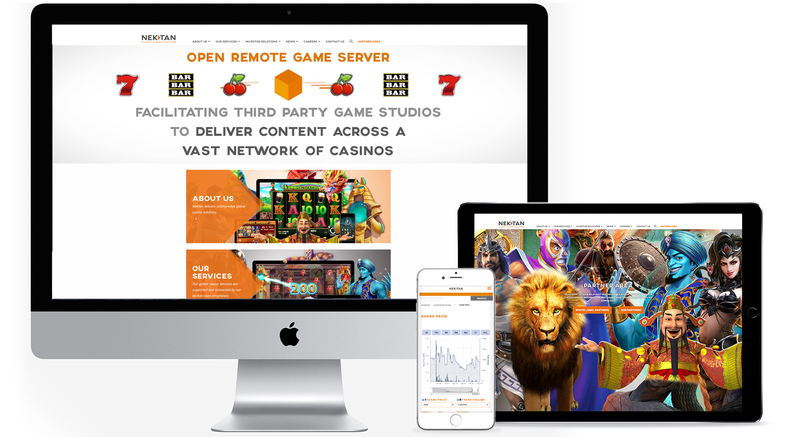 Nektan is a global gaming platform offering white label and B2B services to online gaming and casino industry; delivering international white label and B2B gaming software and services internationally. Since being founded in 2014, the technology company have grown year-on-year and are AIM listed on the London Stock Exchange with Headquarters in Gibraltar and additional offices in the UK, US and India. The brief for this project was to create an engaging new website where users could easily move between sections and pages with ease whilst still being able to navigate to unrelated areas if desired. The ability for the Nektan team to update frequently-changing content easily whilst adhering to a consistent format. 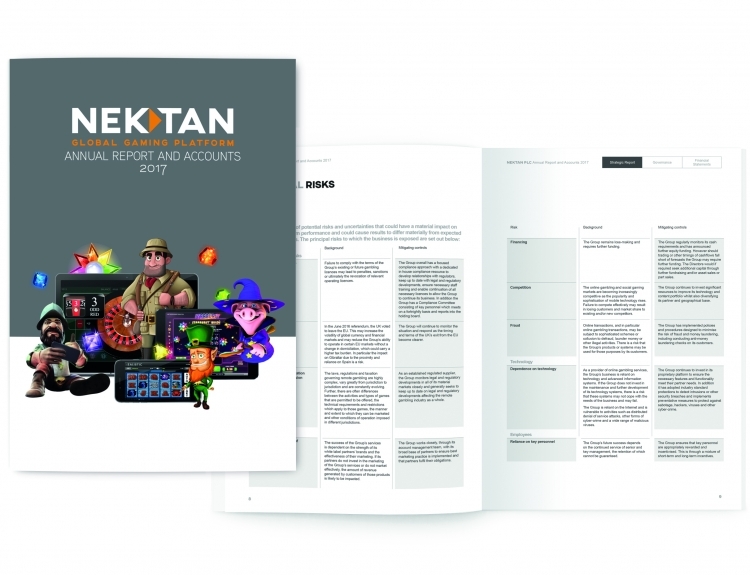 We were pleased to be working with Nektan PLC (one of our new clients) on their latest annual review. The brief was to refresh the previous year’s design while adhering to the new brand guidelines and company values. 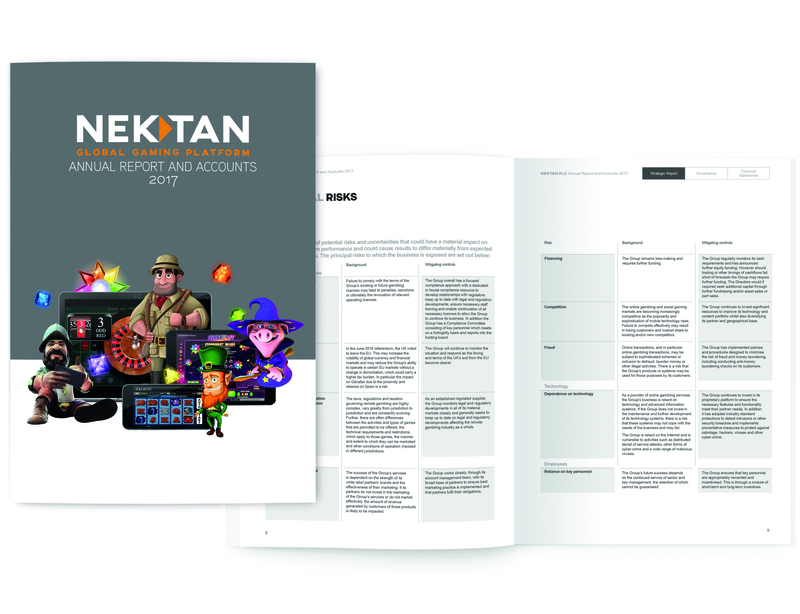 We worked closely with Nektan’s financial team; managing each stage of the process to ensure the final report, through our creative typographic skills, brought clarity and sharpness to their key financial statements. Together with the main report and accounts we were also tasked with designing and organising the distribution of proxy voting papers and overseas investor communications.